The Evola School of Music is dedicated to ensuring you and your child receive the best musical foundation possible. 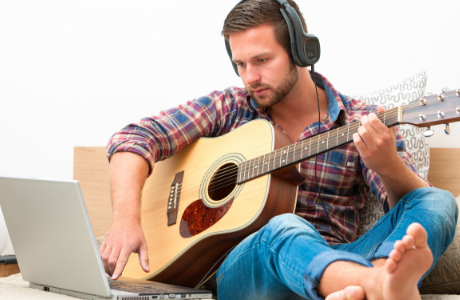 It is our goal to instill in our students the necessary skills for a life-long appreciation of the musical arts by developing a clear understanding of basic techniques and the fundamentals of music. Most of all, we want you to enjoy your learning experience and have fun on your musical journey! While learning a musical instrument is a fun activity, it can be especially beneficial for young children. Multiple studies have proven that learning a musical instrument can improve language development, spatial intelligence, and creativity. Those factors typically equate to improved academic performance and problem solving. Evola Music's experienced instructors offer music lessons for kids who take advantage of those opportunities for growth! Kindermusik, Musical Moments, Music for Little Mozarts, and Lowrey Virtual Orchestra. Our highly-skilled teachers have created individual lesson plans designed to fulfill your musical desires. Performance experience is encouraged through special workshops, ensembles, recitals and competitions. Private music lessons are available for piano, organ, guitar, violin, voice, and most band instruments. Evola Music's instructors provide honest feedback regarding how your child is engaging in the process and developing ancillary skills and having fun. Contact your local Evola Music Center for more information about our teachers and schedules, which vary by location. Children thrive on music, so why not make music lessons fun AND educational? Music is one of the best vehicles for learning in early childhood development. Kindermusik takes musical learning to the next level, and our curriculum is proven to improve a child’s brain development. And for parents, it’s a fun thing to do with your kids! Playing an instrument is the best investment for your child’s future. Research shows that children who play an instrument do better in school and learn discipline. Playing music relieves stress and gives the student a sense of achievement. Best of all, playing music is fun! Evola Music's group piano lessons introduce children to the joys of music in a comfortable atmosphere with other children their age. Caring, experienced teachers guide your child through carefully planned weekly lessons and age-appropriate lesson books. Research has found that learning music helps facilitate learning other subjects and enhances skills that we inevitably use in other areas. There are direct correlations between musical training and improved language development, IQ, academic performance, reasoning abilities, creativity, and problem solving. The professional educators at Evola Music are here to help you begin your musical journey with a variety of instruments. Are you the next “American Idol?” Come and find out! Learn the fundamentals of good vocal technique. This class requires no previous music knowledge. 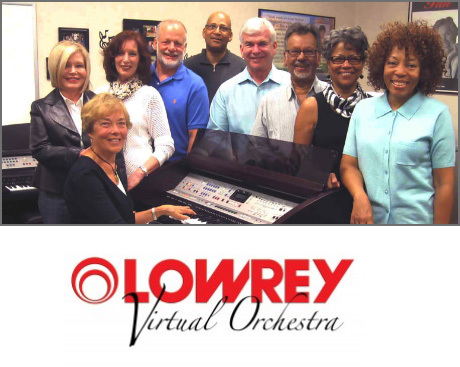 Evola Music is proud to represent the Lowrey Magic program for Virtual Orchestra instruments! For the complete novice with no prior music experience or those who learned as a child, anyone can learn to play the Lowrey EZ way! While you learn, you’ll maintain your health and wellness, enjoy a new hobby, and make new friends. You also will enjoy a variety of concerts and special events throughout the year. 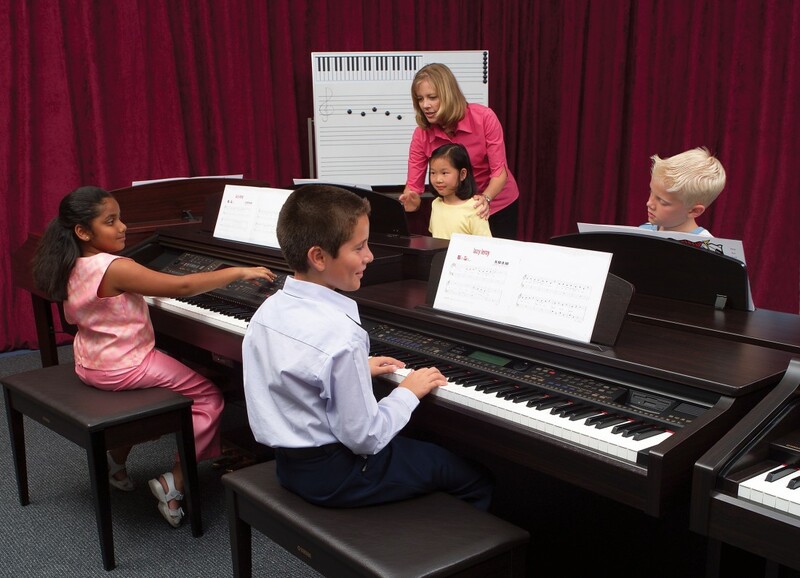 Contact your local Evola Music Center for more information about our teachers and schedules, which vary by location. What a great experience and a reminder that great customer service can still given by some. David R.